Mr Taylor’s death was reported in the local newspaper in April 1890 as follows:- Old Gee Taylor is dead, and with him has departed one of the oldest inhabitants, and certainly one of the characters of the town. The old man was well known for miles around, having during his life taken an active part in sick visiting and temperance agitation, quaint in his manner, out spoken in his opinions, he offended many, but there was a kind heart beating behind all, and many poor sick homes have missed his visits during the time he has not been so active as formerly. 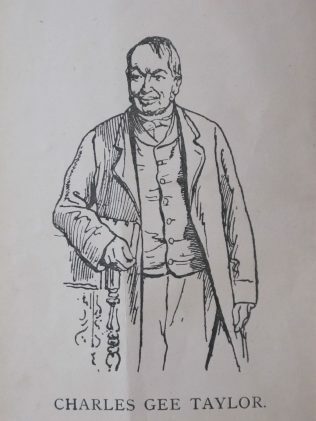 “He was a rum old chap, but well meant in his intentions,” is the short mode in which C. Gee Taylor’s biography has been put in a single sentence. But are not the chronicles of C. Gee Taylor already written in a book which he himself published? – a characteristic of the man. ‘The full text of “The autobiography of Charles Gee Taylor” (1st edition, part one, two, three and four) and “The Eventful life and travels/ Life and Adventures of Charles Gee Taylor, second edition” can be shared online via website or dropbox for the broad public and scientific study, be it only for non-commercial use. Charles is buried at Newtown Road Cemetery in Newbury and you can click here for a link to the Friends of Newtown Road Cemetery website. 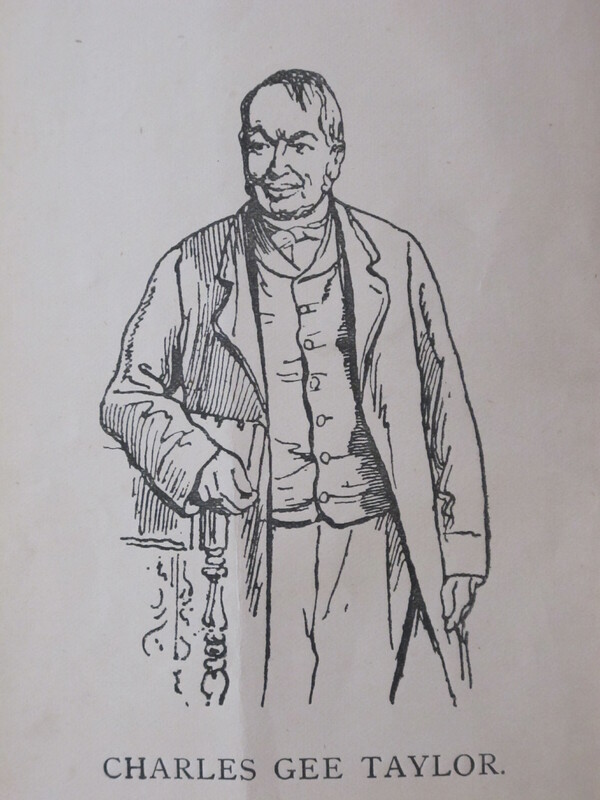 Sir Christopher Furness, M.P., J.P., D.L. Thomas Fawcett "The First Methodist in Sleaford"